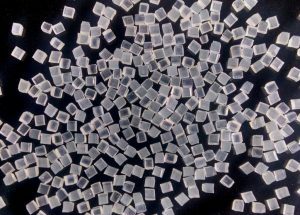 Nylon Polyamide Pellets - Composition Materials Co.
NYLON DEFLASHING MEDIA – we supply all standard sizes of Nylon for use in deflashing, deburring and cleaning without damaging surfaces of thermoset parts, rubber parts, electical parts, computer components and metal die-castings. Their cube shape has a faster through-put than cylindrical shaped media. Polyamide pellets have almost no dust formation and no color contamination when blasting different colors. Nylon media can be used effectively in both air-blast & wheel-blast equipment, with excellent longevity; its extremely low abrasion extends operational life. Global shipping available. Please contact us for pricing and information.